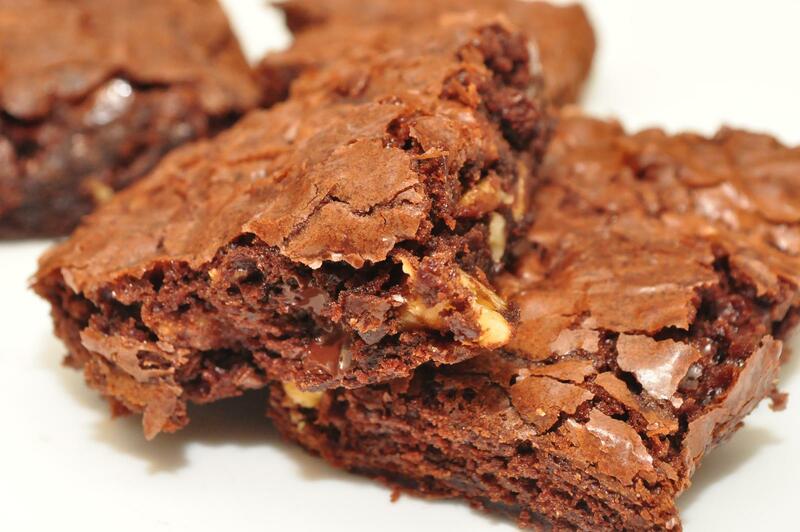 Recipes - Desserts - Espresso Brownies - Salado Olive Oil Co.
Heat oven to 350 degrees. Spray an 8 inch square baking pan with oil. Melt chocolate over low heat till smooth and pour into a large bowl. Add Salado Olive Oil Co. House Olive Oil, Salado Olive Oil Co. Espresso Balsamic and vanilla. Whisk to blend well. Whisk eggs into the mixture and add sugar and mix well. Add dry ingredients to the wet mixture. Pour batter into pan. Add chopped pecans on top and place pan into the oven. Bake 35-40 minutes, until a toothpick inserted into center comes out clean. Cool, cut and eat. If you have any leftovers, cover and refrigerate for later.